GARDNER, Mass. — A fire chief was injured while providing mutual aid at a house fire Friday. CBS Boston reported that firefighters were called a single-family house fire around noon. 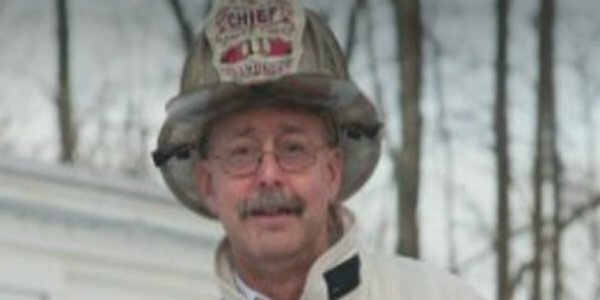 Fire Chief Richard Ares, 59, was hurt when he fell 6-to-8 feet from a deck onto pavement when a railing failed. He was conscious and alert at the scene following the fall. He suffered a concussion and back injury. Officials have said his injuries are not life-threatening and he’s in stable condition. An EMT was also treated for smoke inhalation at the fire. Fire officials are investigating the blaze.